Does The Quirky Design Of The Bike Box Folding Exercise Bike Really Work? 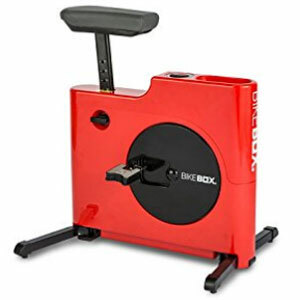 The Bike Box Folding Exercise Bike doesn’t look like a typical exercise bike for the home gym, but that is precisely the point. Here the designers appear to have gone all out with their fully-assembled, compact box design. It is something that isn’t necessarily attractive, but offers an interesting approach compared to a “normal” exercise bike. This should provide a good motion with minimal effort, but is it as practical and beneficial as people hope?